Super Stars Literacy has a dynamic staff committed to student success and community partnership. Dr. Hollis Pierce is the current Executive Director of Super Stars Literacy. Prior to joining SSL, she was President of of St. Martin de Porres School in Oakland where her responsibilities included operation and sustainability of the school, development and enhancement of the faith community and the teaching-learning process. The President is the school’s primary leader and institutional spokesperson for the school’s constituents and worked collaboratively with the Principal. Hollis was an Educational Consultant for the 180-degrees program which focused on socio-emotional skills where her role was the Area Coordinator. She was responsible for 500+ students representing: San Francisco, Oakland, San Mateo, Alameda, San Bruno and Hayward. In 2008, she founded Hollis Pierce & Associates, which focused on the professional development of leaders in both non-profit, charter and public schools. She is a leadership coach whose background in education includes: instructional leadership, data analysis, professional development for teachers and leadership teams, school culture, instruction and assessment and the overall learning environment. As a Life Coach she is poised to empower individuals to reach their highest potential. Hollis believes that it is imperative the community rally around its youth in efforts to create global citizens equipped with the 21st Century job skills required to compete in a global economy. She has held positions in elementary school administration, and teaching positions (grades 4-8) as well as Development positions in private, faith-based elementary schools and a Social Enterprise/Non-Profit organization. Dr. Pierce holds a B.A. in Political Science from UC Berkeley, M.Ed in Curriculum Development from DePaul University in Chicago, Illinois, an Ed.D in Education (Organization and Leadership) at University of San Francisco. She currently serves on the Board of Directors for ARISE High School in Oakland, California. You can reach Dr. Hollis Pierce at hollis@superstarsliteracy.org. Kim Caldwell is a native of San Francisco California. Kim fell in love with supporting her community as a teenager. She was first inspired by her Godparents Rev. Hannibal & Bettygene Williams of New Liberation Church who dedicated their life in service to The Lord, community, and empowering the disenfranchised. Kim quickly developed a passion for charitable work, and served, and supported various events and functions within the church, and in the Western Addition. This resolve stuck with her through college, leading her to get her BS in Human Development from Howard University. With the encouragement from Cathy Kornblith, Kim’s other Godmother, Kim continued her community work by volunteering at the local high schools, youth guidance centers, and foster care peer groups as a guest speaker. Her topics would range from life after high school, how to pick a college, to creating a budget. Having a passion for exposing students to higher education and other life skills, Kim began a career in motivational speaking in the Bay Area for over 10+ years. Being exposed to many opportunities being raised in the Bay as a teen, and having an incredibly talented artist Margaret Cresci as a mother, Kim developed a love for the arts, so throughout school, higher education, and her various careers she has always continued to express herself creatively. fast forwarding to 2018 she serves the community proudly through Super Stars Literacy as the Operations manager. Prior to joining Super Stars Literacy, Katie spent two years serving with AmeriCorps*VISTA in Rhode Island, where she helped to create partnerships between higher education institutions and k-12 schools. Katie has a B.A. in Theater Design and Technical from the University of New Hampshire. Her passion for service and community building led her to the Super Stars Literacy AmeriCorps Program. Beth joined Super Stars Literacy in 2019 as a Program Manager. A passionate advocate for equity in education, Beth has worked with students from pre-school through high-school with a focus on K-5th grade and special education students. Rooted in a belief that every child deserves the support and tools they need to reach their potential, Beth is excited to be part of the Super Stars Literacy team and working to end the literacy crisis. Sabrina Mah joined Super Stars Literacy as a Program Manager in 2018. She began her professional career teaching English as a Second Language in South Korea for two years, and proceeded to earn her Single Subject California Teaching Credential from Mills College to teach high school English Language Arts in Oakland. Sabrina has extensive experience managing various youth non-profits in the Bay Area. In her spare time, you can find her re-reading The Lord of the Rings for the millionth time or walking her Rottweiler, Hero around Lake Merritt. Natalie first joined Super Stars in 2016 as a volunteer. She fell in love with the community so she returned as a group leader in 2017 and worked with first graders at Brookfield elementary. Besides working at SSL, Natalie is receiving her master’s degree in education at Holy Names University. In her free time, she enjoys working out, exploring Oakland, cooking vegetarian meals, daydreaming about hot cheetos, and quoting Nacho Libre. ¡Viva La Raza! Francesca Aspromonte joined Super Stars Literacy in 2017 as Grants Manager. She has worked in non-profit development for the last several years, including grant writing, marketing, and event management. She served as an AmeriCorps VISTA, for two terms, building capacity for educational access programs in New York City and Santa Monica. Her most recent position was as an English Fellow for the Colombian Ministry of National Education, employed at a highly impacted High School in Medellin. She attended Binghamton University (SUNY) for English Literature and received her MA in Corporate Communication from Baruch College (CUNY). Evan originally joined Super Stars Literacy in 2015 as an AmeriCorps Group Leader and taught in the after school program for two years. 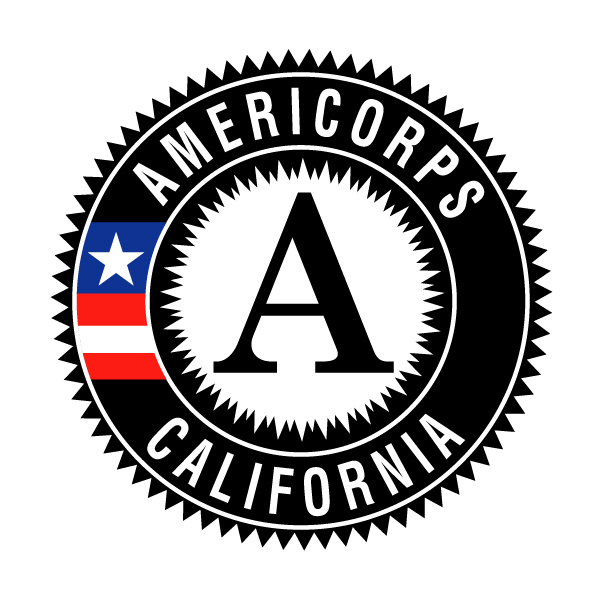 He then served in the AmeriCorps VISTA program supporting SSL fundraising and communications. He now drives our efforts through fundraising campaigns and events as our Development Manager. Prior to his service, Evan worked in schools as a Campus Supervisor and Head Wrestling Coach. He graduated from Ashford University with a B.A. in English. Evan is passionate about supporting students and believes in community growth through equitable change. Fran joined Super Stars in the fall of 2017 as a group leader on special assignment at Garfield Elementary. Now he is the Americorps Communications and Development VISTA and works on fundraising efforts, social media outreach, and development of the Young Professionals and Alumni Network. He is a fan of Parks and Recreation, Black Mirror, and buying books he never gets around to reading. He attended UC Davis for Linguistics and Spanish. Desiree Joined Super Stars Literacy in 2017 as a Group Leader on Special Assignment. Now She is the AmeriCorps Volunteer Coordinator and works to recruit continuous volunteers for the classrooms and one time events with local company’s. She is also responsible for planning our family and community engagement events. She is a 7th generation Oakland resident and loves her community. Desiree went to Holy Names University and studied Philosophy, eventually earning her Masters degree in Culture and Spirituality. She loves all the classics from Homer’s Odyssey to anything Shakespeare. Her family and children live in and receive services from this community which is one of many reasons behind her passion for education equality programs. Desiree is very excited to serve her community this year.